What if there was a book that would guide international students through all aspects of their Master of Laws studies in the United States? George Edwards; law professor, Harvard J.D., and former Wall Street lawyer; wondered just that. Based on interactions with international students, Edwards realized that LL.M. students tended to be uninformed of many aspects of a U.S. LL.M. degree and that there was a lack of resources in this area. He decided to fill this lacuna by writing his own book. The result is entitled LL.M. 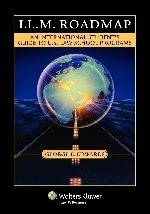 Roadmap – An International Student’s Guide to U.S. Law School Programs (published by Wolters Kluwer Law & Business/Aspen in 2011). LL.M. Roadmap covers the most important questions that international LL.M. applicants commonly have, including choosing the best LL.M. 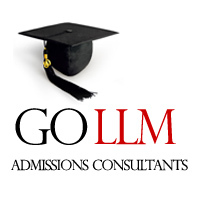 program, gaining admission to U.S. law schools, funding LL.M. studies, and securing a job after the LL.M. In addition, the book discusses cultural and legal aspects of living and studying in the U.S. Moreover, although LL.M. Roadmap focuses mainly on the LL.M., it also extends some of its coverage to the increasingly popular, but lesser known, S.J.D. (J.S.D., Doctor of Juridical Science) degree. Finally, LL.M. students considering transferring to a J.D. program will appreciate the chapter devoted to this topic. In Part I, LL.M. Roadmap raises the fundamental question of why international students should choose the United States for their LL.M. studies. 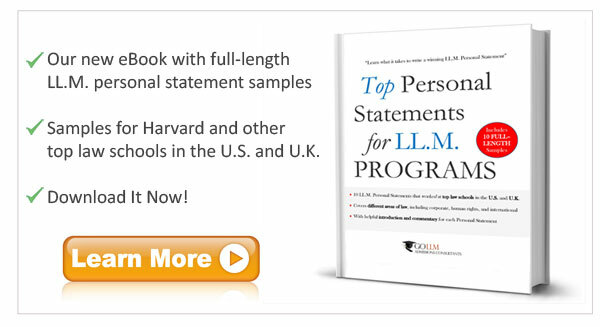 Today, not only do Canada, Australia, the U.K., and several countries in Mainland Europe – the traditional competitors to U.S. law schools − offer LL.M. programs, but new players such as China and Japan are also entering the LL.M. domain by developing their own offerings. While acknowledging the strengths of LL.M. programs outside the U.S., Edwards concludes that based on reputational and quality considerations the U.S. is an excellent choice for prospective LL.M. candidates. Part I also discusses various types of LL.M. programs, such as traditional, executive, or online programs, and provides a number of factors to consider when faced with the decision between a general or a specialized LL.M. program. It ends with an overview of the U.S. legal system and legal education and a comparison with foreign jurisdictions. Part II focuses on how to find the “best” U.S. LL.M. program. Whereas the selection of law schools and programs is often dominated by rankings, Edwards emphasizes that there is no such things as the “best” LL.M. program. Instead, he observes that the choice of school and program is a function of every individual applicant’s academic, career, personal, and financial goals and needs. Nevertheless, LL.M. Roadmap develops a list of 218 criteria that can be used to select an LL.M. program. The 218 criteria are grouped into 24 broader categories, ranging from basic criteria such as type of LL.M. program, school and LL.M. program size, finances, writing opportunities, location, and ranking/reputation to important but commonly overlooked factors such as non-classroom activities, joint and other degrees offered, grading schemes, academic support services and career development, school alumni, and S.J.D. preparation. Although some of the recommended criteria might be obvious, others are less so. For instance, the book notes that LL.M. students are often disappointed when they find out that a particular course that was listed as being offered by their law school of choice is not available during their LL.M. In this respect, Edwards advises that students inquire about course offerings in advance of enrolling in a particular LL.M. program and add course availability to their list of criteria for choosing an LL.M. program. Part III covers LL.M. application and admissions policies and practices, general application requirements, and provides advice on timing and application documents. In this Part, Edwards provides a background to the LL.M. application process by explaining the mechanics of how schools pick their candidates and how the selection process fits in with a law school’s overall goals and strategic plans. This Part sheds much light on the “black box” of the LL.M. application and admissions process. Indeed, readers will gather a number of useful hints and ideas on how to improve their LL.M. application. This Part is also helpful in that it contains advice on how to draft application documents, including the oft-dreaded LL.M. personal statement or essay. In keeping with the book’s thorough approach, each additional component and step of a typical LL.M. application are discussed, including language requirements, document authentication and verification, and documents relating to financial resources and scholarships. Moreover, this Part covers communications with law schools and discusses issues such as LL.M. waitlists and different types of LL.M. program offers. While other books might stop their coverage here, LL.M. Roadmap does not. Instead it continues by providing advice for those who are admitted to an LL.M. program. Part IV therefore discusses what to do before and during a candidate’s LL.M. studies. This includes discussions on tuition deposits and travel and academic plans and leads to questions such as how to pick one’s LL.M. courses, an explanation of grading schemes, how to maintain good academic, legal, and financial status, and how to write an LL.M. thesis. The next two Parts discuss some practicalities of LL.M. programs. Part V, for instance, covers U.S. student visa and immigration issues, while Part VI addresses the question of how to finance the LL.M. degree. Part VI also offers a useful discussion on various types of financial aid (scholarships, tuition discounts or waivers, loans, and other funding opportunities) for international LL.M. students. Part VII then proceeds to another practical issue: how to secure a job after the LL.M. Here, LL.M. Roadmap covers career possibilities, career resources, and strategies on getting a job after graduation. It also touches upon additional visa and immigration issues that may arise at this stage and explains how to deal with them. Finally, Part VII examines the U.S. Bar Exam and various aspects relating to the practice of law in the U.S. after an LL.M. The book concludes with an introduction to the laws, customs, and lifestyle of the United States. LL.M. Roadmap is an exceptionally thorough and almost all-encompassing “encyclopedia” of the Master of Laws degree in the U.S. The book covers not only the substantive core areas of the LL.M. application and admissions process, but also discusses practical issues such as visa requirements, enrollment in courses, exam-taking, graduation, and post-LL.M. career paths. LL.M. Roadmap is also well-researched, clearly written and easy to understand, and filled with useful advice that extends to all stages before, during, and after a candidate’s studies towards an LL.M. degree. Anybody who is interested in a U.S. LL.M. is well advised to turn to LL.M. Roadmap for guidance. While there are other books on the subject (see, for example, here and here for two resources in German), LL.M. Roadmap is by far the most complete and practical of its kind.